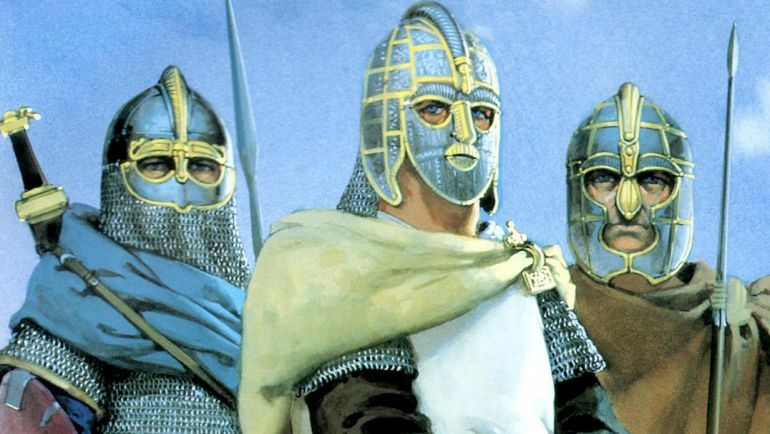 Illustration of Anglo-Saxon elites, by Angus McBride. From Celtic to Roman to Germanic to Scandinavian and back to continental European influence, the history of the British Isles makes for a political medley with a wide spectrum of cultural consequences. Suffice it to say, this dynamic scope of historical progression and power shifts has had its effect on the numerous realms that dominated the islands of Britain as we know it. YouTuber extraordinaire Ollie Bye has presented this fascinating parcel of history in his usual timelapse animation style, covering an extensive epoch of almost 2,000-years from 43 AD to 2016 AD. While the period is obviously not covered by the aforementioned animation, the evidence of early humans in Britain actually come from footprints that are 800,000 years old. In fact, Britain was connected to mainland Europe as late as 7000 BC via what is known as ‘Doggerland’, a marshy landmass with lagoons and mudflats that linked the east coast of England to Denmark and Netherlands. In essence, humans (and animals) must have moved from continental Europe to the British Isles, as evidenced by remains of native mainland European specimens of antelopes, brown bears, and wild horses along with a human skeleton. 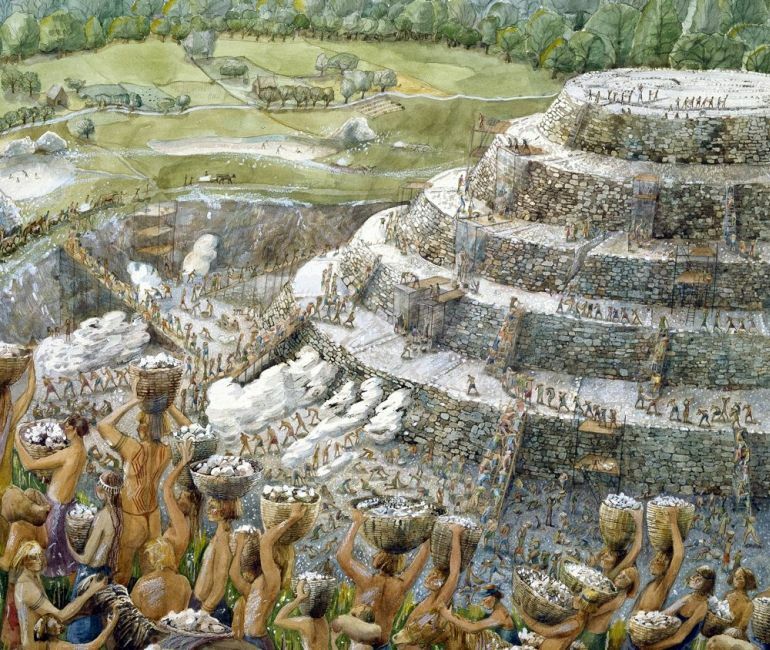 And such migratory patterns contributed over time (encompassing several millennia, through the prevalent Bronze Age Beaker Culture) to the Iron Age population of Britain that was primarily Celtic in nature. The earliest known historical reference to the ancient inhabitants of Britain comes from the accounts of Pytheas, a 4th century BC Greek geographer from the Massalia colony (present-day Marseille, in France) who probably circumnavigated and explored some parts of Britain, circa 325 BC. According to his non-extant writings (though partially referenced by later Roman authors), the islands were collectively referred to as ‘αἱ Βρεττανίαι’ (hai Brettaniai). The population spread across what is now modern-day England, Scotland and Wales, mostly spoke an Insular Celtic language known as Common Brittonic. According to most scholars, this linguistic scope of Common Brittonic was derived from the Proto-Celtic language of continental Europe, circa 7th century BC. In any case, the Common Brittonic in itself began to diverge in the British Isles, thus leading to various other languages and dialects, like Welsh, Cumbric, Cornish and even Breton and Pictish. 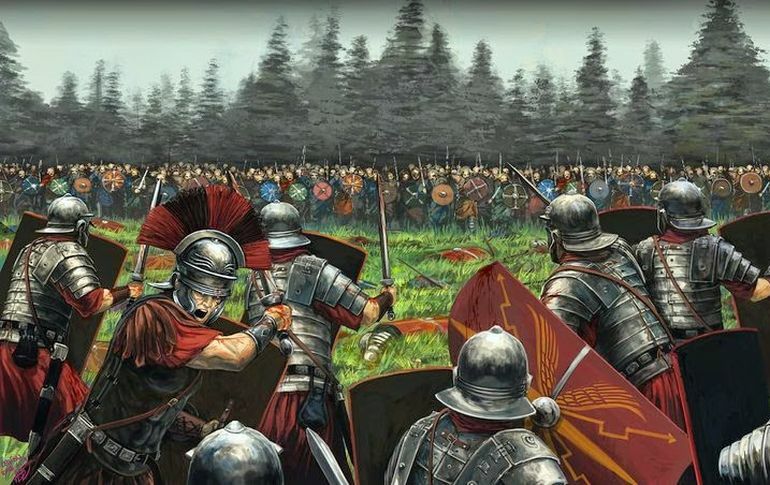 By 55 BC, the Romans had managed to subjugate many continental Gallic tribes, including the factions of Helvetii, Nervii, Veneti and Aquitania. They even managed to make of a show of their strength by crossing the Rhine and ‘defeating’ some of the Germanic entities. But the act that pushed Caesar into the focal point of public imagination back at Rome, arguably relates to the audacious invasions of Britain (in 55 and 54 BC) – incredible feats that were never tried before by any Roman general. 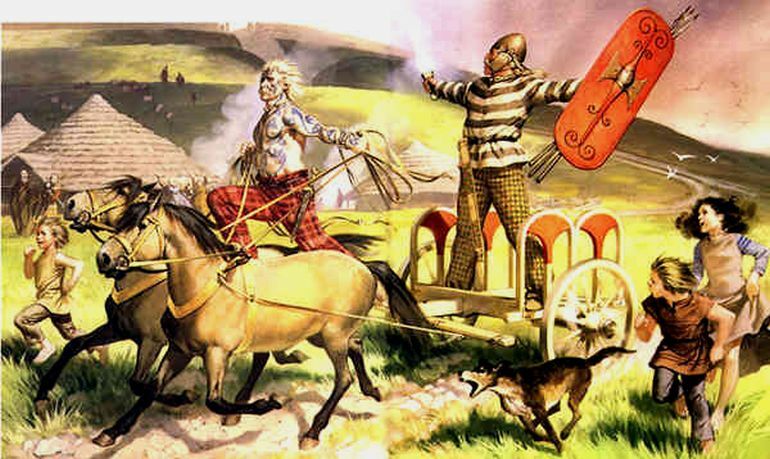 Caesar even had the casus belli for invading the foreign (and mysterious) land, with reports of the British Celtic tribes (Britons) helping their continental brethren with ‘possible’ military assistance. But much like Rhine episode, the British campaign was probably more of a calculated move by Caesar to bolster his publicity. Unfortunately, while the notion was clearly cunning the execution lacked in its logistical capacity – with Romans crossing the English Channel at Kent with just two under-prepared legions. As a result, the following engagements were not entirely fruitful for Caesar; though the (later) second invasion was far more successful in coercing tributes from many of the Briton tribes. The subsequent years brought forth many other Roman schemes to invade Britain, including three failed plans of Augustus and two political machinations from Tiberius and Caligula. But all of them came to naught due to a variety of reasons, ranging from logistical constraints, soldier mutinies to even exaggerated tales of prowling monsters in the English Channel. However finally in 43 AD (the starting date of the aforementioned timelapse animation), Emperor Claudius successfully invaded the British Isles to gain a foothold on what was perceived by many contemporaries to be the limit of the known world.